James Peak is one of the more straightforward 13ers in northern Colorado, but I had never quite managed to climb it yet. I wanted to use the more remote route from the north to pick up other peaks on the same day, but that is a much longer drive than a popular route from the east. 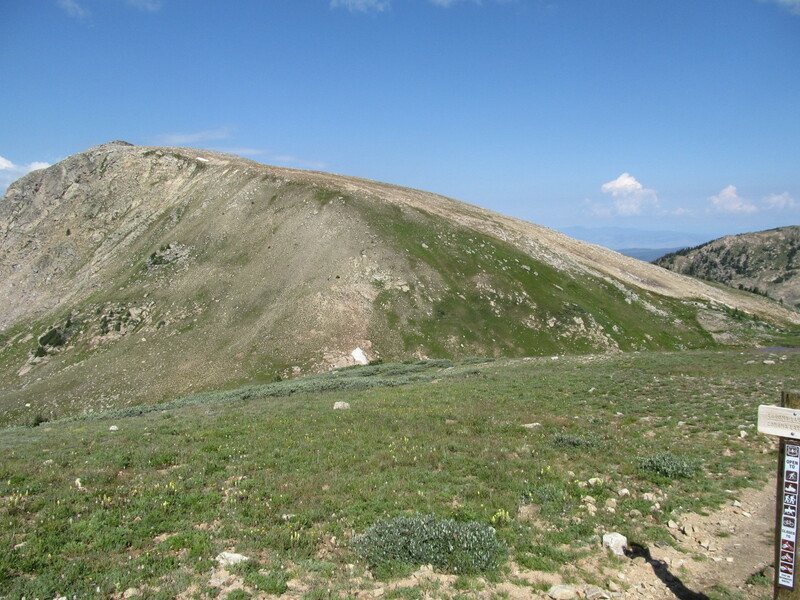 It’s not an especially significant peak, as it connects to many higher peaks via high ridges, but it happens to be the highest point of Gilpin County. Even with many high roads in the area, its status within an eponymous wilderness area makes it a decent length hike no matter what. I managed a pre-5am start from my motel and started hiking from the Corona Pass Road a little after 6:30am. 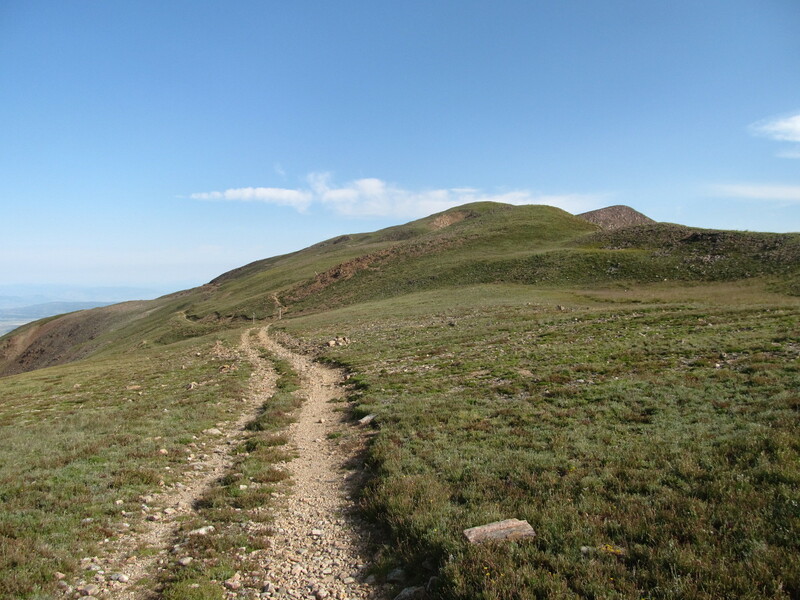 One follows a closed road up to the Continental Divide and the CD Trail. It was an oddly hazy morning, with high clouds as well. 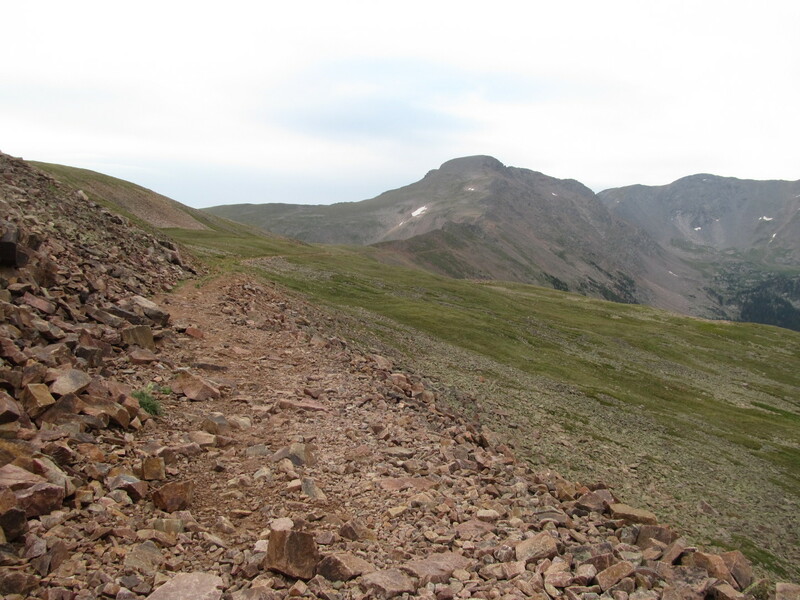 The trail goes all the way to the summit, traversing leftward across the big north face and ascending the left side. On the other hand, the trail only goes down to a lake in between the road and the peak, so the off-trail ascent is somewhat rocky. 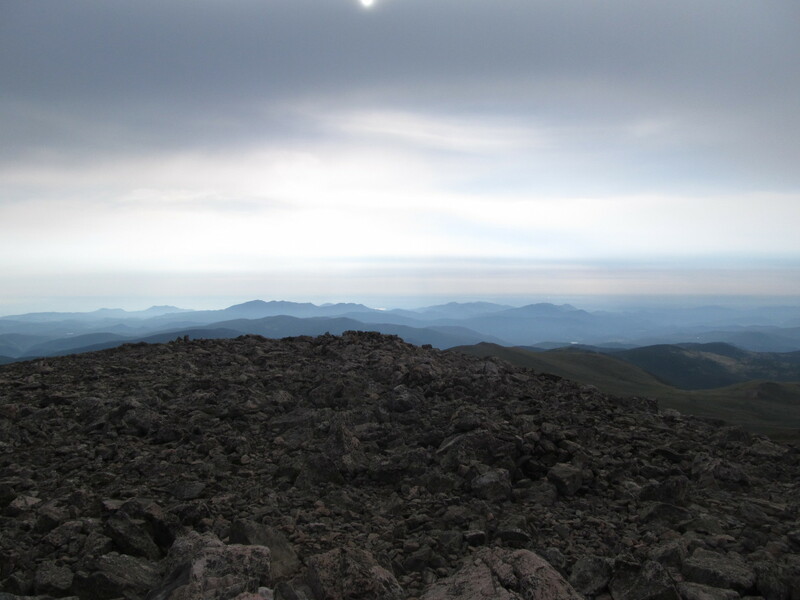 Clouds were starting to build up by the time I reached the summit, so I shuffled back down and called it a day. 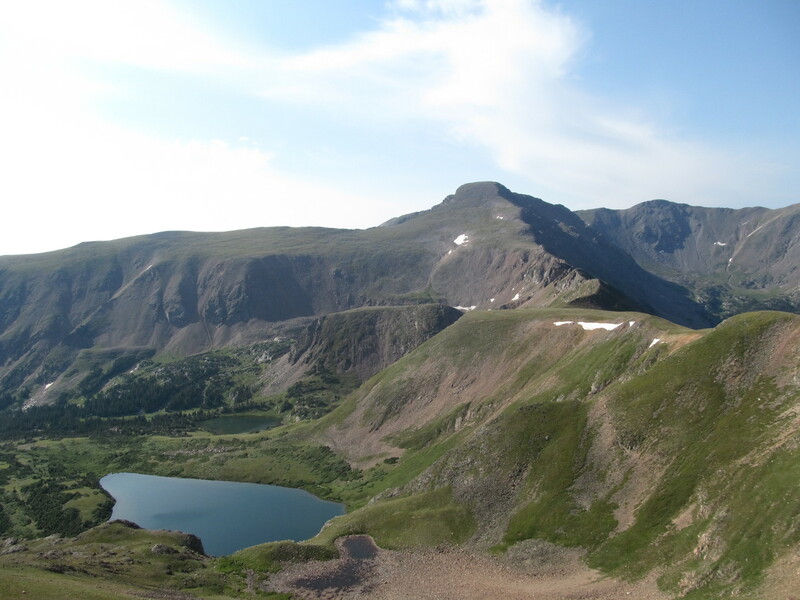 This entry was posted in colorado, hiking, photography, trip report and tagged hiking, peakbagging, photography, tundra. Bookmark the permalink.